It's week 22 of my 52 book reading challenge (1 book per week for a year). You may have noticed that there wasn't an update last week (still reading The Infernal Devices series) so this week I'm reading 2 books. 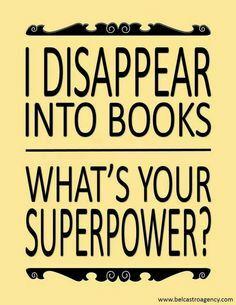 Any excuse to read more ha ha. Week 21. A book with 'Summer' in the title. Week 22. A book with a music industry theme/musician character. Book blurb - A Summer to Remember by Victoria Connelly. Escape deep into the English countryside in this perfect summer’s day read. Fans of Alexandra Potter and Katie Fforde won’t be able to resist. Nina Elliot is tired of her life. She’s not sure how it happened but, somewhere along the way, she lost track of where it was all going. So one fateful day, she makes a brave decision: she’s going to leave it all behind. Taking a job deep in the English countryside, Nina does just that. Ensconced at the Old Mill, she settles into daily life with the Milton family, where she works as a researcher for author Dudley. Relax and enjoy a breath of warm summer air with every turn of the page in the delightful new novel from Victoria Connelly - bestselling author of ‘Wish You Were Here’. Perfect for fans of Katie Fforde and Alexandra Potter. Book blurb - Made in Nashville by Mandy Baggot. Honor’s record label signs the ex-boyfriend that dumped her and suddenly going back to her old life is harder than she thought. Can she get a new contract? Will she get to perform at the Marlon Festival? Or will Dan Steele destroy everything? 21. A book with 'Summer' in the title. I'M READING A Summer to Remember by Victoria Connelly. 22. A book with a music industry theme/musician character. I'M READING Made in Nashville by Mandy Baggot. 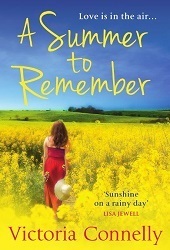 My chosen book for week 21 is - A Summer to Remember by Victoria Connelly. 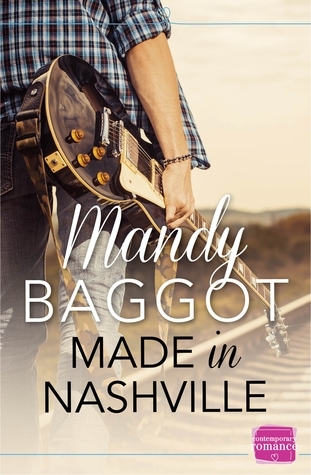 My chosen book for week 22 is - Made in Nashville by Mandy Baggot. 22. A book with a music industry theme/musician character ?